E-cigarettes do not contain tobacco. It heats up nicotine to produce an aerosol which resembles smoke, but is not smoke as no combustion has occurred. Therefore, nicotine vaping is free from tar and other known carcinogens that are present in smoke. For better understanding, E-cigarettes have been hereinafter referred to as nicotine vaping. Public Health England (PHE) published a review stating that “nicotine vaping has only a fraction of the risk from smoking, is at least 95 per cent less harmful and of negligible risk to bystanders. Yet over half of the smokers either falsely believe that vaping is as harmful as smoking or are unaware”. “Nicotine does not, however, cause cancer. It is one of thousands of chemicals in tobacco,” says the Dana-Farber Cancer Institute. A US study of tobacco use by Roswell Park Cancer Comprehensive Center, New York, National Institute on Drug Abuse (NIDA), the US Food and Drug Administration (FDA) and other academic institutions reported that biomarkers of toxic chemicals were significantly lower in Electronic Nicotine Delivery Systems (ENDS)-only users compared to cigarette smokers and non smokers. Harm reduction is a public health strategy which aims to lessen the harms associated with a behaviour, with the ultimate goal of quitting the said harmful behaviour. Harm reduction is an intervention to reduce the negative effects of health behaviour without necessarily eliminating the problematic behaviour completely, by offering them less harmful alternatives. Harm reduction principles have been applied to unsafe sexual practices or high-risk sexual behaviors, eating disorders and tobacco use. With respect to tobacco consumption, the less harmful alternatives are nicotine-based products. Recognising the value of harm reduction, the current marketing of nicotine patches, lozenges and gums as nicotine replacement therapies (NRTs) under Schedule K of the Drugs and Cosmetics Act allows them to be dispensed without a doctor’s prescription. This very fact that they are marketed as ‘over the counter (OTC) drugs’ means that they are safe for public consumption without medical supervision. Is nicotine vaping the solution? Nicotine vaping (ENDS) does not produce smoke by burning tobacco. Instead, it heats a solution (e-liquid) that contains nicotine, propylene glycol or vegetable glycerin and flavorings to generate an aerosol that the user inhales. Nicotine in the newer devices is less irritating when inhaled and gives the satisfaction by producing smoke-like vapors. 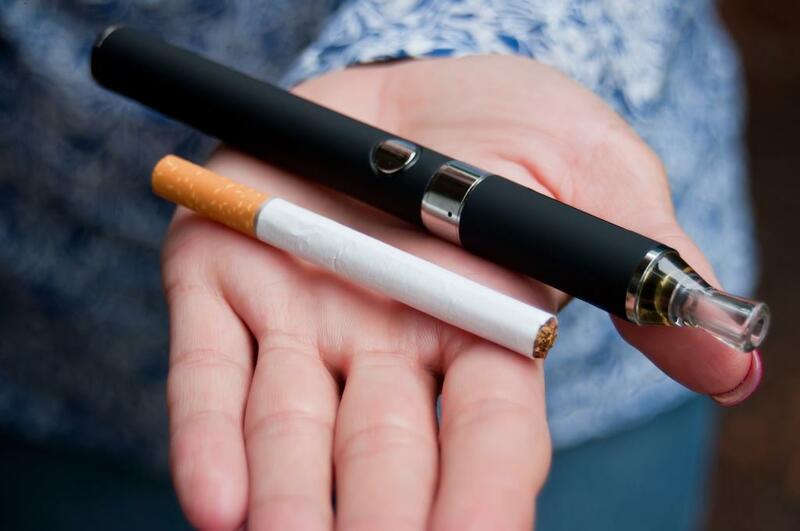 The Union Health Ministry recently issued an advisory to states and Union Territories, banning the sale of e-cigarettes in India. Yet, tobacco continues to be sold. This gives an impression that conventional cigarettes are safer than nicotine vaping, which is not true. The ENDS’ ban is based on the legal premise that these products are being sold in the market without a licence. However, this position disregards the 48th Drugs Consultative Committee’s position that e-cigarettes cannot be regulated, as they are not considered to be a “drug” under the Act. The advisory cites 30 countries where ENDS sale has been banned. But, it excludes the fact that 65 countries, including the United Kingdom and the United States of America have regulations in place to govern the sale, manufacture and use of ENDS. Tobacco-related cancer is another major concern across India. In the US, the rate of people dying from cancer has dropped steadily by 27 per cent. The reasons behind the steady decline in cancer deaths could include nationwide reductions in smoking (substituted with nicotine vaping), improvements in detecting cancer and “revolutionary advances” in treating cancer. Moreover, data from 2014 Eurobarometer revealed that of the 7.5 million e-cigarette users, more than a third reported smoking cessation. According to a report in Tobacco Control, replacement of cigarettes with nicotine vaping over a 10-year period yields 6.6 million fewer premature deaths with 86.7 million fewer life years lost in the Optimistic Scenario. Under the Pessimistic Scenario, 1.6 million premature deaths are averted with 20.8 million fewer life years lost. The largest gains were among younger cohorts with 0.5 per cent gain in average life expectancy projected for 15 year olds in 2016. The study concluded that replacing cigarette smoking with vaping would yield substantial life year gains. Hence, the Health Ministry should regulate ENDS, based on wider and transparent consultations, either as NRTs or under a special act, instead of banning them altogether.